January 19 Mom’s Night Out: Dinner and a movie. See Evite. Feb 6 Family Valentine’s Party being held at the church – Kids will get to make a cookie. There are opportunities available on leadership. If you are interested please talk to someone on steering so that we can arrange for you to come to one of the leadership meetings so you can get a better idea of how things run in the background. Feb 19 Playdate at Curiosity Museum (several moms have membership which allow them to get an unlimited number of people in for half off) If cost is an issue please talk to someone on leadership. If you need a ride let someone know and we can make arrangements. As for our meeting this week: you missed our new Junior Mentor Mom Jenn Hatch discussing new year resolutions. 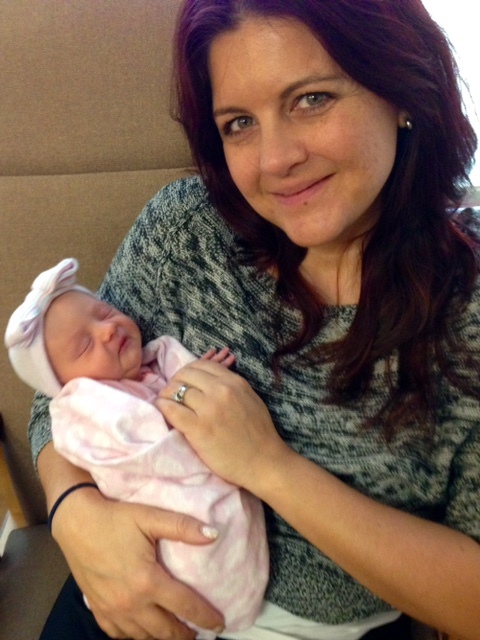 Jenn became a grandmother on January 6 to Sawyer Mei Shelton. And like most grandma’s she things she is the most beautiful baby. She has three children: Michael (24), Jaxon (6), Elayna (5). She was the coordinator of this MOPS group two years ago and stepped away to finish her Associate of Science in Sociology. She graduated in the spring and is so glad to be back mentoring to us. Sometimes we need a new perspective to flourish, celebrate lavishly, embrace rest, and recognize the goodness in our lives. It seems like there is always change happening in my life, whether it’s the beginning or end of the year. Changes in jobs, ministries, housing, location, friends, and even schedules. Change can be hard and uncomfortable. But everything healthy goes through change. As you look ahead to the coming year I challenge you to be open to change. But we also must do our part to create change. Changes that will benefit our life and impact our health – physically, emotionally, and spiritually. One thing that is for sure is that this year is going to go by fast and we will either come out better, worse or the same. We also cannot change on our own we need God’s help. This is why many New Year’s Resolutions do not last past January because you are trying to do them alone. Ask for help. Find an accountability partner. Pray. If you’re looking for changes to better yourself and flourish this year, here are some great ideas to get you started. So often in life we wait around for the milestones of life, not realizing that every step of the journey holds value and significance. So stop waiting around for the next big thing, and start living life by creating a bucket list for yourself this year. As you’re planning it out, don’t just think extravagant (thought that’s always fun), but think meaningful as well: schedule an interview with a grandparent to glean their wisdom, share Jesus with an unbelieving friend, sponsor a compassion child, invite someone to church, or get creative with random acts of kindness. Whatever it is, stop waiting and start living. Create a meaningful life by doing meaningful things. One of the most meaningful things you can invest in this year is people. The concept of community is such an important part in the life of a Christian because it is in the context of our relationships that we have the opportunity to learn how to five and receive love. Take initiative, have the courage to be vulnerable, and get involved in community like never before this coming year. We weren’t meant to do this life alone, so let’s not. What are the talents and passions God has gifted you with, and how are you using those talents for him? That’s an important question to answer in your pursuit of becoming the person God made you to be. Whether or not you realize it, you have so much to offer the world around you. And as you give you will quickly learn that service is actually sort of “hedonistic” because it truly feels better to give than to receive. Even in our 20’s and 30’s, we could all use a little more physical health and fitness in our lives (um…especially those of us in our 40s). Whether that means joining a gym (and not just through February), running a marathon (maybe start with a 5k), parking at the end of the lot and walking the rest of the way, taking the stairs at work, or eating healthier foods – take inventory of your life and examine the changes that need to be made as you strive to honor God with your body more this year. This one is for me this year. I really want to dig into God’s word in a new way. I am desiring to see God’s words with new eyes and an open heart. Sometimes, in our familiarity of God’s word, it can seem to grow stale. But the problem isn’t with his word, it’s with our heart. Commit to feasting on God’s words this year, asking for transformation in your life. Because there’s nothing more satisfying than blocking out the noise of this world, and instead being filled with his Truth. Forgiveness – Decide to extend the gift of forgiveness for an old hurt. You’ll gain a new sense of freedom because you no longer carry a grudge. Patience – practice patience win areas where you are historically impatient. Jenn also gave us a worksheet so we can fill it out and have a visual reminder of our goals to help us all Flourish in 2016. You can find it here. The remainder of the meeting was spent discussing the M & M game at your table.The newsletter also has an article Five ways to flourish as a Mom and age appropriate goal setting tips for children. If you missed it, you can read it here. Here is the newsletter for this month! Enjoy! GCBC MOPS Kick-off Meeting was a great meeting! This year we are challenging you to Be You, Daring, Audacious, Noble, Intrepid, Fearless and Courageous. You will find yourself challenged this year to become a better you, to know who you have been created, uniquely you and to capitalize on it. 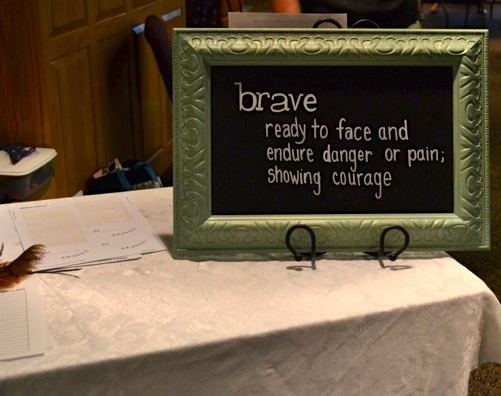 We KNOW that this year at MOPS is going to be the best yet and we encourage you to come, be brave and grow. To be a better you, a better mom, because…. Palm Sunday marks the beginning of Passion Week, in which we we observe, worship and celebrate the events that lead up to Christs death on the cross for our sins and defeated death by His Resurrection. This past MOPS meeting, we celebrated Easter by reviewing the events that unfolded over Passion Week and we encourage you to follow through these Passion Week passages that tell the story of the events leading to Christs death on the cross and his resurrection.